"CAIR was founded after 9/11 because they recognized that some people did something and that all of us were starting to lose access to our civil liberties," she said, incorrectly stating the organization's history. The group was actually founded in 1994, although it became much more active following the terror attacks. 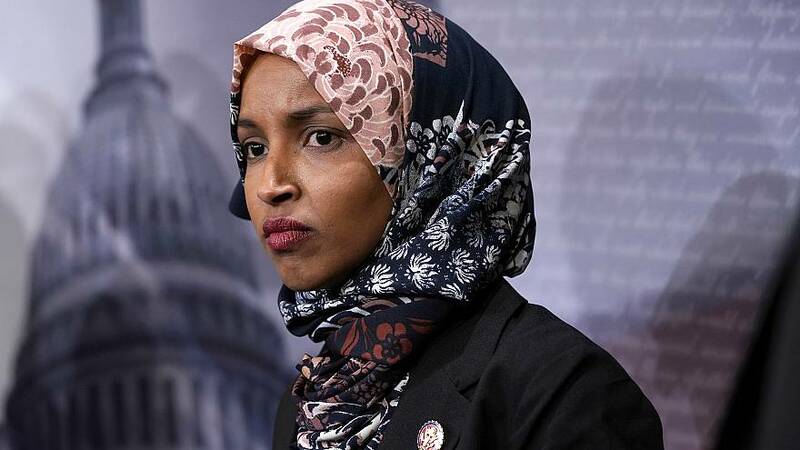 Most prominent among her critics was President Donald Trump, who tweeted a video of the Twin Towers being hit by airplanes and burning down interspersed with a cut of Omar saying "some people" did "something" when speaking about the terror attacks. His video echoedcriticism of Omar onthe front page of Thursday's New York Post, which included the headline "Here's Your Something" over an image of the Twin Towers burning. Democratic contenders denounced that tweet over the weekend as an attempt to incite violence against Omar, a freshman member of Congress who has previously found herself at the center of debate over controversial remarks she made about Israel and its lobbying efforts — comments that were denounced by Democrats. Responding to the criticism, Omar tweeted Saturday that she stands "undeterred to continue fighting for equal opportunity in our pursuit of happiness for all Americans." "No one person - no matter how corrupt, inept, or vicious - can threaten my unwavering love for America," she wrote. "The bigger question is why aren't Democrats doing the same thing?" she added. "It's absolutely abhorrent the comments that she continues to make and has made and they look the other way." Sanders added that she finds Omar's comments "to be absolutely disgraceful and unbefitting of a member of Congress, and I think that it's a good thing that the president is calling her our for those comments."